Upon first sight, Sassy Go Go is your typical high school drama set in an overly competitive school, Sevit High School. Your typical high school drama begins with typical characters — the offbeat, misfit students along with the cool, rich, and smart ones — and typical storyline of pitting these completely different kids against each other to create conflict and drama. And then there is your typical hero of the story — the one student who always bridges the gap between the two diverging groups and ultimately brings them together. Kang Yeon Doo (Jung Eun Ji), a kindhearted and determined high schooler, is that heroine in Sassy Go Go. Despite the expected narrative and characters, the drama managed to tell a heartfelt story full of emotions. Although it is a bit slow at times with occasionally random plot progressions, Sassy Go Go left me cheering for each character by the end. The opening scenes of Sassy Go Go is attention grabbing thanks to a unique way of screenshotting the characters and adding animations to them as if they were from a comic book. Beyond the interesting cinematography, the first couple of episodes do a decent job at introducing the main characters. The drama begins with Yeon Doo talking about how she is at the bottom of the “food chain” at her school because she comes from a very different family upbringing than your average students at Sevit High School. Turns out, she’s the leader of the outcasts known as the Real Kings, a dance team that isn’t too concerned about their grades. I immediately felt a connection to the Real Kings because of their display of true friendship and their audacity in pursuing what makes them happy. 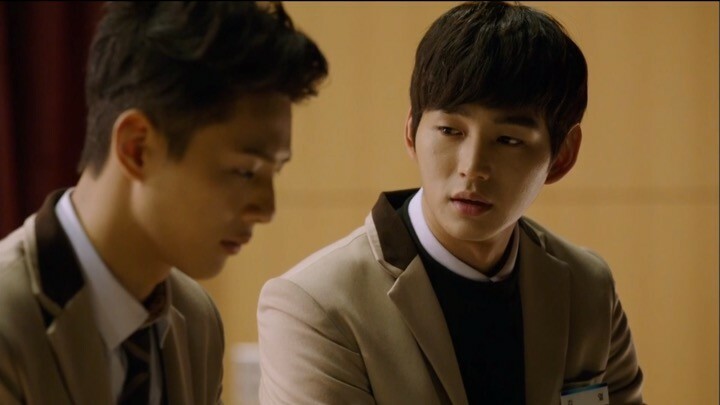 In particular, it’s evident that Yeon Doo is a genuine friend, which is what Ha Dong Jae (Cha Hak Yeon), Yeon Doo’s childhood friend believes. Ha Dong, as Yeon Doo likes to call him, is a slightly awkward, yet lovable individual who’s also a great basketball player. Yeon Doo is the only reason that Ha Dong decided to come to Sevit High School. Different in everyway from the Real Kings are the White Tigers. These kids are conceded and only care about being at the top of the class by any means necessary. The White Tigers are headed by Kim Yeol (Lee Won Geun), a smug, rich kid who is at the top of the class and the president of the White Tigers, Kwon Soo Ah (Chae Soo Bin), who has a lot of pressure to be perfect, and Seo Ha Joon (Ji Soo), Kim Yeol’s best friend with a rough relationship with his father. I find the drama’s plot quite cliche and a bit cheesy. Although it’s easy to dislike the White Tigers, I actually feel sympathetic towards them because they have so much pressure from their families to be perfect, which also put strains on their family relations. Though all of the White Tigers are going through a similar experience, Soo Ah seems to have the worst of it. Her mother even paid someone to increase her chances of getting into an Ivy League school. I feel pity towards Soo Ah because I don’t think anyone should have that much pressure at such a young age. Sassy Go Go wastes no time in setting up the rivalry between the Real Kings and the White Tigers, but the tension between the two groups develops in a very predictable way. At this time, I find the drama’s plot quite cliche and a bit cheesy. However, Yeon Doo’s character is intriguing enough to keep me watching because even though her heart is in the right place, she ends up causing more trouble than necessary at times. I’m curious to find out how she’ll manage to bridge the gap between the two groups. In these next few episodes of Sassy Go Go, the drama sets up opportunities for character growth and new bonds as the Real King and the White Tigers work together in the same cheerleading squad. Though I saw it coming, the merging of the Real Kings and the White Tigers is important in facilitating the story along, so I welcome it. The two groups coming together is all thanks to Soo Ah simply because it would make her look better as a well-rounded student to be on a cheerleading team. 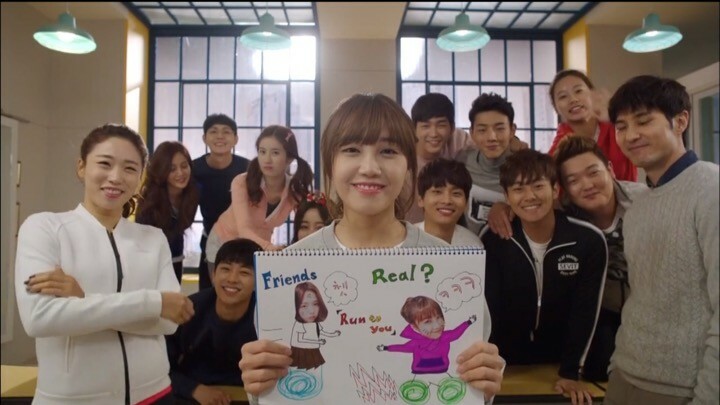 Soo Ah seizes every opportunity to stand out from the crowd, even if it means manipulating those around her in the cheerleading team. I found myself getting agitated whenever I see Soo Ah and her mom involved in something. They are an extremely aggressive duo that only cared about Soo Ah with no remorse on how their actions would effect others. The drama sets up opportunities for character growth and new bonds. What was essential for me to stay interested in the drama though is the unexpected softer sides of Kim Yeol and Ha Joon; they’re both a lot more relatable than what they lead on initially. First, things start to heat up as Yeon Doo and Kim Yeol become closer. By helping each other see different sides of a situation, the drama shows growth to their characters. No matter what happens, those two always find themselves stuck together when in trouble. It’s amusing and entertaining to see how Kim Yeol teases Yeon Doo during these encounters because he enjoys seeing her get flustered. 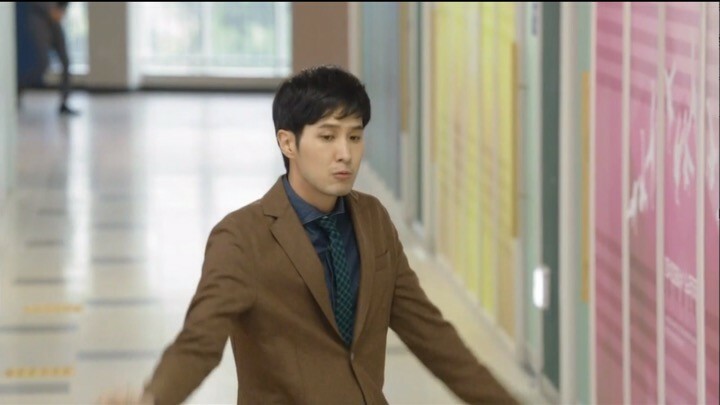 Ha Joon’s character also begins to open up to the others including Soo Ah and Yeon Doo, whom he becomes very fond of. Ha Joon could related to Soo Ah’s pressure and becomes a stress reliever to help calm her down throughout the drama, but he continues to keep himself at a distance. Ha Joon also naturally spends more time with Yeon Doo because she’s always with Kim Yeol and starts to see that Yeon Doo is someone that he could depend on. It’s a treat to see this section of Sassy Go Go focusing more on characters other than Yeon Doo, even though these characters are gradually changing thanks to her. Another nice addition to the character mix are the teachers. To help cope with all of the pressure that Sevit High brings, the students were given two very dependable teachers — Yang Tae Bum (Kim Ji Seok) and Nam Jung Ah (Lee Mi Do) — whom they could count on no matter what. I found them refreshing because most of the other adults around school are corrupt individuals, certainly not people you’d want influencing the youth. This section of Sassy Go Go adds more depth to the characters by developing them more as individuals. The once self-centered Soo Ah is learning that everything isn’t about her. It’s encouraging to see her slowly arriving at the realization that sometimes she should consider others before herself. But at this point, even though Soo Ah knows that what she is doing is wrong, she chooses to brush it off and continues on with her ambition of being the best irregardless of the means. However, this time around, the White Tigers begin to see Soo Ah for what she is and starts to distance themselves, causing her to realize that more people matter in life than just herself. Besides Soo Ah, the drama also gives other characters more emotional depth as they start to make decisions that follow their hearts rather than their parents’ expectations. In one case, Ha Joon joins hands with Kim Yeol to help get Yeon Doo out of trouble. The viewers are able to witness a true bonding experience between them. In another case, the cheerleading squad band together more due to teacher Tae Bum being accused of something he didn’t do. This is one of my favorite parts of the drama because both the teacher and the students realize that they don’t have to go through hardships alone. As a result, the cheerleading squad finally becomes a real team — if one goes down, they all go down. These scenarios really bring out the moral of the drama — helping others in need. At last, we arrive at the climax of Sassy Go Go, where many of the characters complete their transformations in particularly heart-wrenching and emotional ways. Take Yeon Doo for example, her shift in attitude is a very interesting one that makes her appear more vulnerable and human. She’s usually a supportive and loyal friend always on everyone’s side, but she finally had enough of putting up with Soo Ah’s backstabbing. This is an important turning point for other characters and the viewers to recognize that Yeon Doo is not invincible. She has flaws and weak moments just like everyone else. Characters complete their transformations in particularly heart-wrenching ways. Besides Yeon Doo, there are also major breakthroughs in our other lead characters — Soo Ah, Ha Dong, Ha Joon, and Kim Yeol. First off, Soo Ah and Ha Dong grow closer with each other around this time, which leads to exciting changes in the mood and dynamics of the entire drama. It’s extremely touching to watch Soo Ah open up to Ha Dong about her emotional pains, earning her character some much needed empathy from me. On the other hand, Ha Joon works up the courage to stand up for himself in front of his father. It’s comforting to see him having a little more faith and grasping the idea that there are other people he can trust besides his bestfriend Kim Yeol. Last but not least is advancement in Kim Yeol’s character. He actually has a kind heart hidden behind his arrogant and cynical persona. I was able to see Kim Yeol in a different light when the drama showed him putting everything on the line to save Yeon Doo from Soo Ah’s most dangerous antic — a clear sign of his capability and willingness to care for others. To my disappointment, the ending of Sassy Go Go is not nearly as strong as the previous episodes. There were so many things happening in the last two episode and I felt like it was too much, too late. New plot lines such as a conflict between Ha Joon and Kim Yeol ended as soon as it started. Perhaps these new developments would have added to the story had they been fully developed sooner, but at this point, they only create more distraction and chaos. In my opinion, Sassy Go Go would have been a lot more coherent had the story ended at the last section. However, what I did enjoy during the ending episodes is how the students stood up to the scheming adults because they finally matured enough to understand what is right and wrong. The White Tigers no longer purely focused on being at the top of their class. Instead, they learned from Yeon Doo and the Real Kings that it’s important to be happy. Taking everything into account, my perception of Sassy Go Go being your average high school drama was right. The plot progression follows what you’d expect with some unnecessary scenes as time fillers. Some episodes in the drama were touch and go, but it was entertaining enough to keep me interested. The most impressionable things about Sassy Go Go are its character and the positive message it sends. I’m glad I stuck around to see how the characters eventually changed for the better, together. More importantly, the drama leaves me feeling that anything is possible as long as I put my heart into it.